Please review below our terms and conditions. 1. 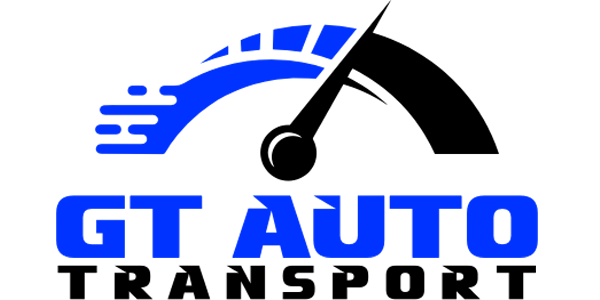 GT Auto Transport (GTA) agrees to offer the customer’s automobile to a DOT authorized, licensed, fully insured automobile transporter and to act as the link between the customer and the transporter before and during transport. GTA the Broker is licensed by the Interstate Commerce Commission. 2. On Hawaii and Alaska shipments ONLY; GTA requires payment be made in full by cashier's check. All shipments NOT INVOLVING ALASKA OR HAWAII require a Security Deposit that we charge to the credit card provided, unless otherwise stated above in the order confirmation. All Hawaii and Alaska Security Deposits are non-refundable. 3. The customer shall provide alternate contacts in case of delay for whatever reason at either pickup or delivery. The customer shall designate a person to act as their agent at the point of pickup and/or delivery if for any reason they are unavailable. GTA will not be responsible for tow charges, yard charges, or re-delivery charges incurred due to customer's inability to provide alternate contacts. 4. While every effort will be made, pickup and delivery dates are only estimates and there is no guarantee. GTA cannot guarantee any specific pickup or delivery dates due to scheduling, other customer delays, engine problems, road conditions, Mother Nature, medical issues, etc. After scheduling has been confirmed with an authorized carrier/transporter the contact person at the origin will be notified via a telephone message or email message by GTA in advance. At this point GTA has fulfilled our service agreement. However, we will follow through with any questions, concerns or issues you have during the transport of your vehicle. 5. The customer agrees to make full disclosure to GTA regarding operational status of the vehicle prior to finalizing this agreement. If the customer’s vehicle is unable to be driven on and off the transport under its own power, if vehicle's brakes are insufficient to stop the vehicle, or if for any reason the vehicle is found to be inoperable, a minimum charge of $150 will be added at customer's expense, no exceptions. 6. Additional terms and conditions apply to the transporter and appear on the Bill of Lading/Condition Report. The customer and his/her agents agree to fully inspect the vehicle at both pickup and delivery, and note any and all damages on the carrier's Bill of Lading/Condition Report BEFORE the driver leaves. Any claims for damages not noted on the Condition Report will not be honored! Please make sure you inspect your vehicle completely. GTA will not be responsible for any damages. This means that any and all claims for damage must be made directly through the carrier that transported your vehicle. 7. The customer/shipper will also be responsible for preparing the vehicle for transport including: disarming any alarms, removing any loose parts, accessories, hanging spoilers, etc…. The carrier/transporter will not be responsible for: freezing of engine, cooling system, batteries, or leaking fluids, any exhaust system, mufflers, tail pipes or any mechanical malfunction damage to include engine, transmission, rear end, wiring systems, stereo systems, air bags, brakes, clutches, computerized components (anything that’s is mechanical or electrical). The carrier/transporter will not be responsible for any convertible tops that are loose, torn, or have visible wear. This includes any canvas or material covering. 8. Customer agrees that the vehicle is free of contents. Absolutely no firearms, alcohol, hazardous materials, contraband, household goods, or illegal substances may be in the vehicle. Vehicles are subject to inspection by the DOT and/or State Police. If in fact the vehicle is loaded with personal items the carrier/transporter may charge additional fees for overloading and may also decline the transport of your vehicle(s). If your vehicle(s) are declined for pick up by the carrier/transporter GTA will resubmit your information to the dispatching department for rescheduling and there will be a $100.00 rescheduling fee. You, the customer, may also be charged a $100.00 reposting fee for the vehicle(s) not being there, if it’s been moved, or unavailable. In the event the carrier attempts to deliver the vehicle(s) to shipper or shipper's agent and shipper or shipper's agent cannot be reached in a reasonable time frame, the shipper's vehicle(s) will be dropped off at the nearest terminal, at the discretion of the carrier. All storage, COD, terminal fees, attorney's fees, and collection fees will be due and payable to the carrier in either cash, cashier's check, or United States Postal Service money order before said vehicle(s) is to be released by the terminal. This fee is ONLY charged if the carrier has not been given proper notification in advance before the pickup or delivery of the vehicle(s). The carrier/transporter can also charge a dry load fee for the reasons listed above. 9. Unless the order has been pre-paid, or other arrangements have been made, shipper shall pay all COD amounts upon pick up or delivery, including any additional charges, in the form of cash, cashiers check, or United States Postal Service money order to the transport company. In the event that said forms of payments are not available at delivery, the shipper shall be responsible for any and all storage fees. In order to complete pick up/delivery, the shipper agrees to meet the transporter/carrier at a specified time and place if necessary. Shipper agrees that giving his/her shipping information and/or credit card number to GTA via telephone constitutes verbal authorization to proceed and all terms and conditions will apply. 10. You may cancel your order at any time; cancellations must be made in writing via email. Once the cancellation has been received it will be submitted to the Accounting department for the refund process. However, if a transporter/carrier was assigned to pick up your vehicle before the cancellation came through, there is no refund due. If your cancellation request is received before 30 days from the date available, nothing will be refunded. If your cancellation is received after 30 days from the date available, we will refund the entire deposit. Please note: If you have selected the Economy Shipping option, your entire deposit is non-refundable even after the 30 day period. This shipping method is only for customers that are not in a hurry to move the vehicle and who understand that the deposit is completely non-refundable regardless of the amount of time needed by GT Auto Transport to schedule a carrier. If the Economy Shipping option is selected and the customer cancels the order at any time and for any reason, the deposit is non-refundable. 11. GTA will match any price by a 5 star rated Company on Transport Reviews website. The matched price is only valid for up to 6 days. If a carrier cannot be dispatched within 6 days on the agreed upon price, the price will go up to the original estimated price. If the order is cancelled, a $100 cancellation fee will be applied. 12. By accepting this document, you declare that you are the owner, or an authorized agent of the owner to make arrangements for shipping the owner's vehicle(s). You also warrant that you are the registered legal owner of the vehicle, or that it has been authorized by the legal owner to enter into this agreement with GTA. 13. If for any reason we receive a check that has been returned there will be a fee of $35.00 and is due upon receipt. If we have not received payment within 30 days, your account will be turned over for collections and all past due amounts, attorney's fees, and collection fees will be the shipper's responsibility. 14. We reserve the right to refuse service to anyone who violates any of the terms and conditions written above.